This is a four piece wedding invitation suite with a separate Save the Date. It is navy and cornflower blue letterpress printed on 100% cotton, bright white stock. 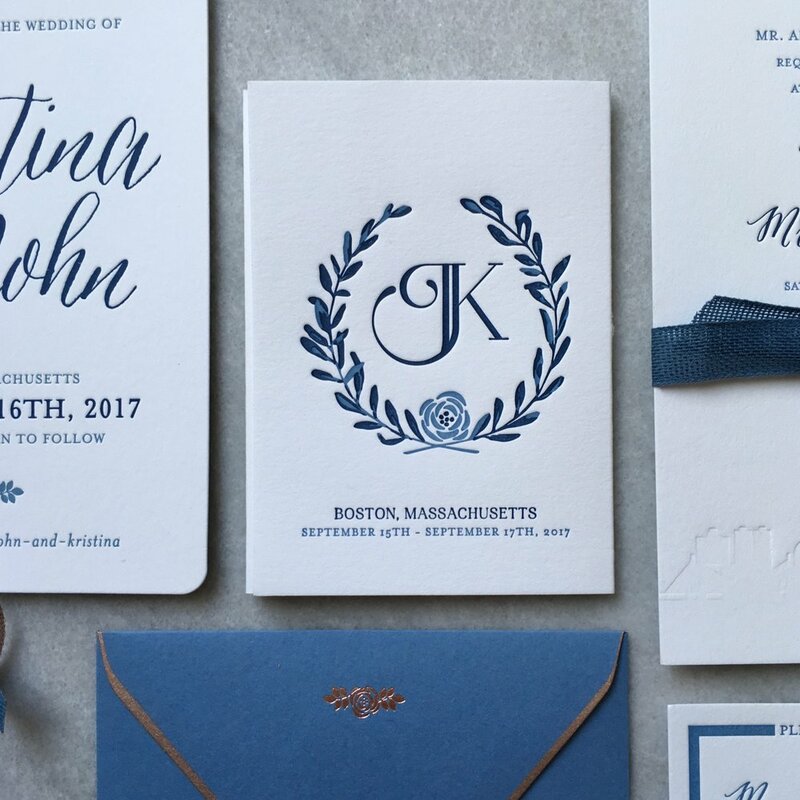 The invitation features an inkless impression of the Boston skyline. The envelopes are lined with a floral rose gold foil paper and a floral navy and cornflower blue paper. The suite is tied with a loose weave navy cotton ribbon.